New single by Mississauga emcee J Shiltz just dropped: "Put In Work" featuring vocals by Ray Robinson with some electronic-chime-type up-beat production by Toronto's own Rich Kidd. Not even a full year after the release of the debut album "What I Stand For" J Shiltz is primed to release the next installment: "Still Standing". 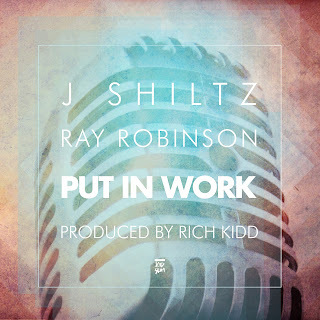 The first single, "Put In Work", showcases the vocal styling’s of none other then R&B mainstay Ray Robinson, not to mention production from the prolific and illustrious Rich Kidd. Expect a slew of singles and videos in anticipation of "Still Standing", scheduled to drop September 2012.